You can create different types of Documents including Reports, Newsletters, Ebooks, Surveys, Lesson Plans, Report Cards and Charts. 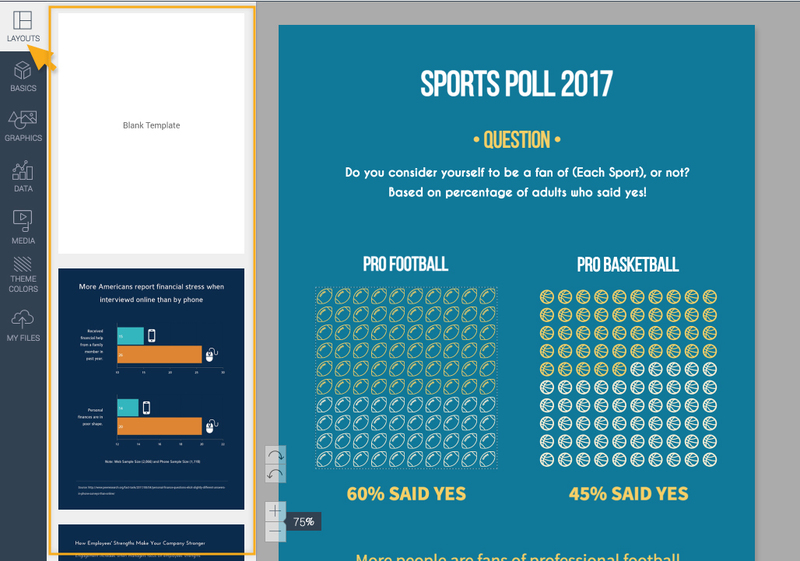 Such Documents like reports or survey results may be very boring to look at if you do not have enough graphics or colors in it. Your goal is to capture your audience’s attention. Visme has professional designed templates available for you to help you get started. You can personalize and customize it the way you like it. You can even start from a blank template if you’d like. 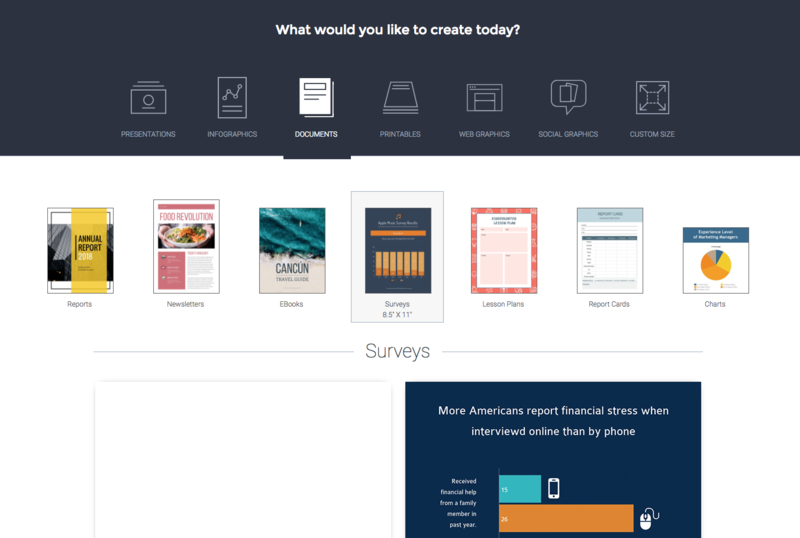 Creating a report or a survey result is very simple and easy. Let’s get started! Login to your Visme account. 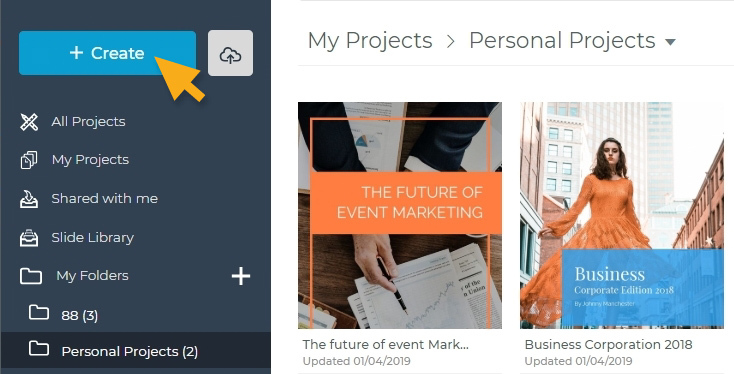 In your Dashboard, click on Create New from the top left side of your screen to create a new project. You then choose the Documents category from the list of visual content options. If you are creating survey results, select Surveys tab. If you are creating charts or graphs, select the Charts tab. Choose the type of documents template that fits your need. You can choose to change your template under Layout. Select texts, icons or photos from Visme’s assets or upload your own. The Suggested Content tab under Basics from the left panel has basic assets if you want to add additional content to your project. If you want to add more charts, graphs, tables, maps or text widgets in your project, click on Data from the left panel and it will give you access to all data visualization elements depending on what you would like to visualize. You can then share, download or print your project once you are done. Check out this short guide on how to create Ebooks.